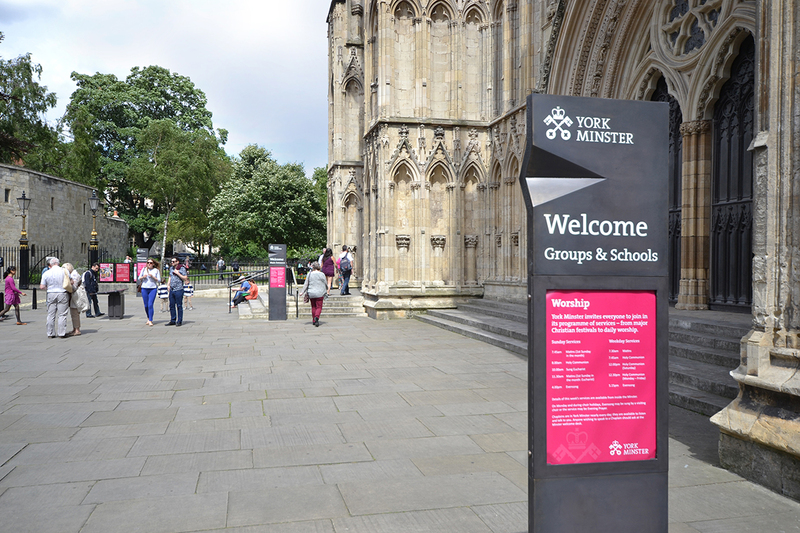 NRN Design were contracted by York Minster to rejuvenate its means of directing and interacting with visitors, including the wayfinding, signage and welcome desks. 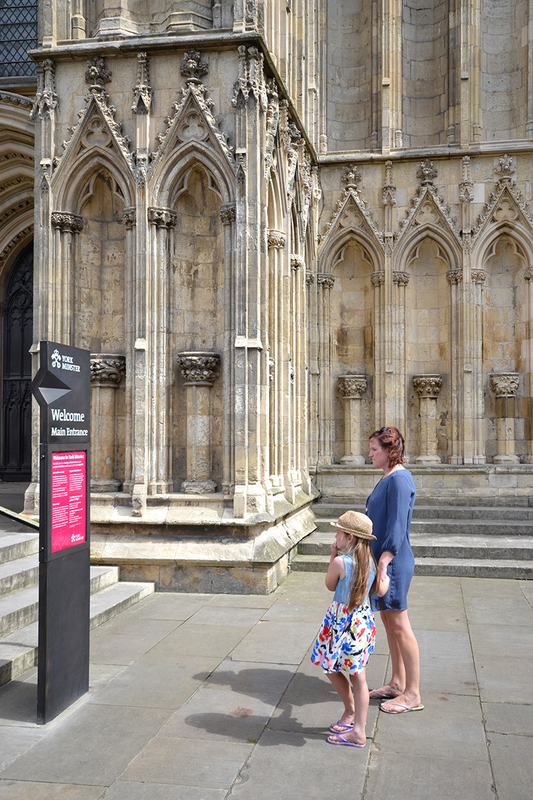 When working with such an historically important building, it was vitally important to design with respect for the Minster and all it represents. With this in mind, we specified aged brass for the map tables, permanent and movable signs. 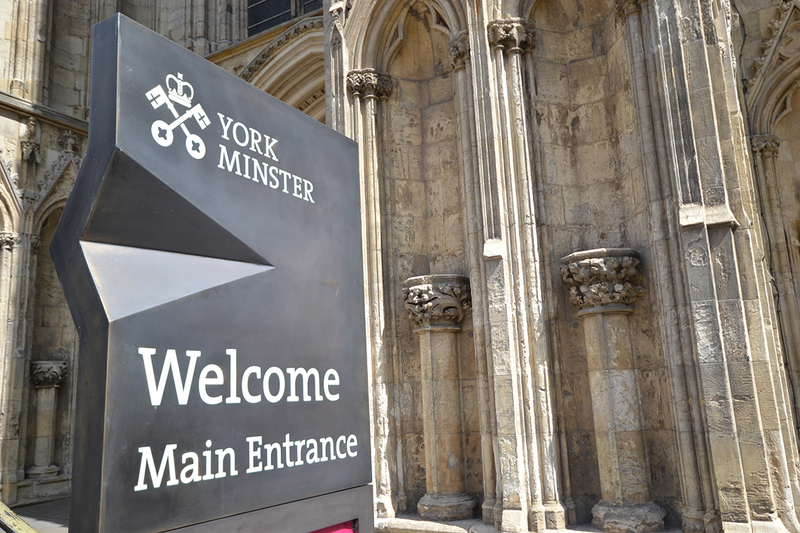 This choice of material prevents the signs from detracting from the Minster’s striking architecture due to its natural colouring, whilst also remaining noticeable to act successfully as signage. 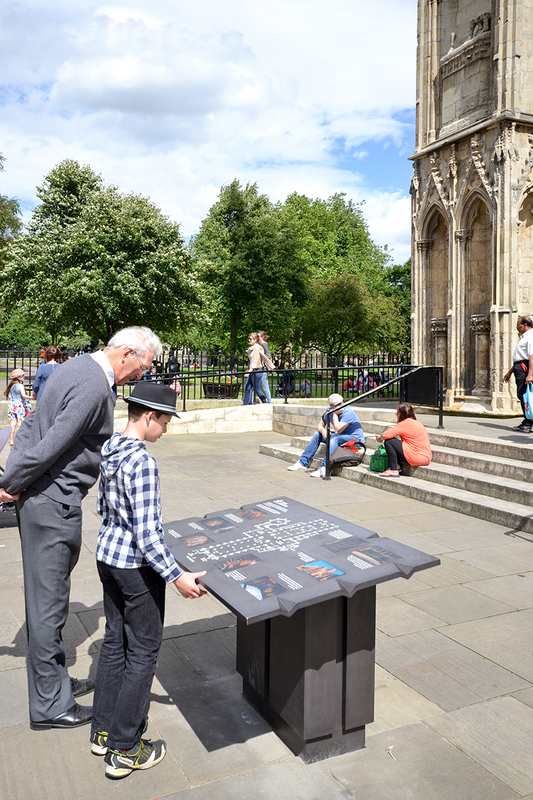 The entrance signs were designed as permanent fixtures, planted in the ground with a section for posters to be safely displayed. 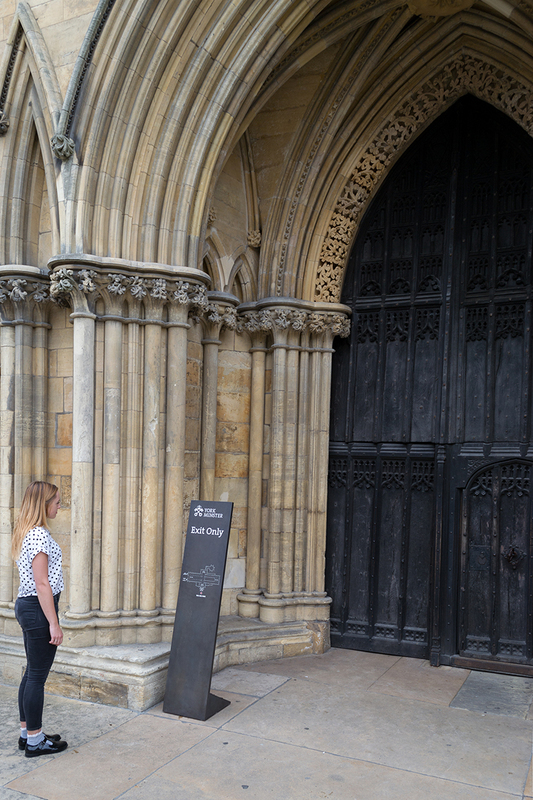 The exit and shop signs were a bespoke moveable design such as to not cause public annoyance out of opening hours. The design includes fold-out wheels, screw-in handles and a secure cover for both when stationary. 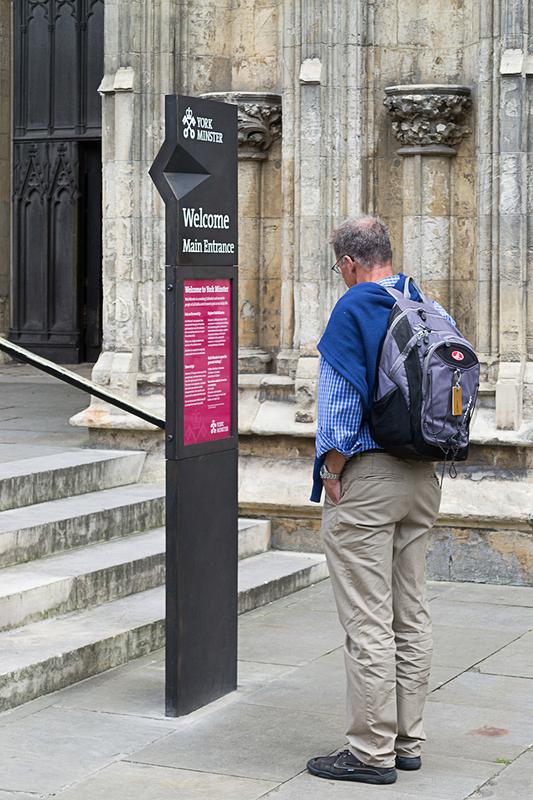 This design ensures the signs can be manoeuvred safely by staff, but cannot be moved by the public. The map tables we designed are strong enough to support an adult and so are entirely safe for a child to sit on and engage with the map. 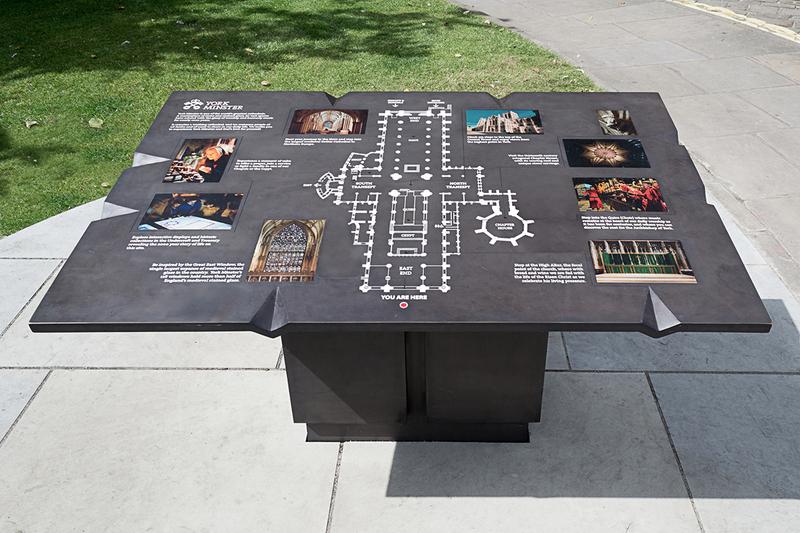 The images on the tables are printed into aluminium and set into brass and so are extremely hardwearing and UV proof.